Will retail apocalypse hit Britain next? How much do your favorite holiday songs and movies make? 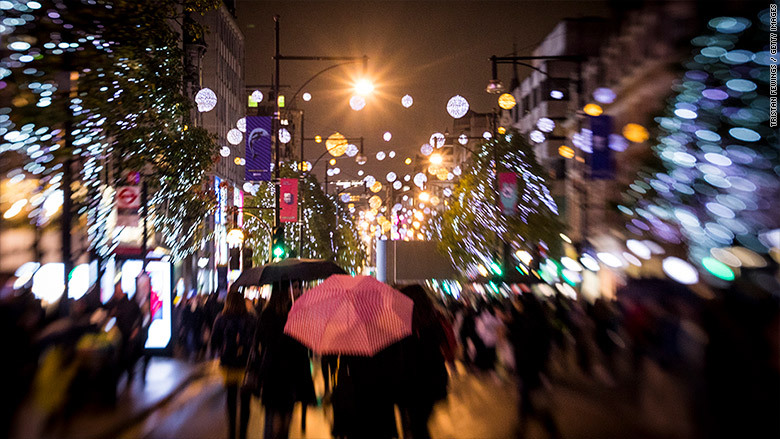 British retailers are bracing for a very tough holiday shopping season. There are signs that beleaguered consumers will be putting fewer gifts under the Christmas tree this year because of higher prices, squeezed wages and rising interest rates. The Centre for Retail Research predicts that Brits will spend £476 ($628) this year on holiday gifts, which is virtually unchanged from last year. Early alarms have already sounded. Data from Visa and business advisory firm BDO show that October sales at brick-and-mortar shops declined 5% compared to the previous year. Spending on clothing and footwear was particularly weak. Online sales are rising, but not quickly enough to compensate for losses in the shops. "Falling real wages, muted consumer confidence and lingering uncertainties over the direction of the U.K. economy are having a substantial impact on spending," warned Annabel Fiddes, an economist at IHS Markit who helped compile the Visa report. 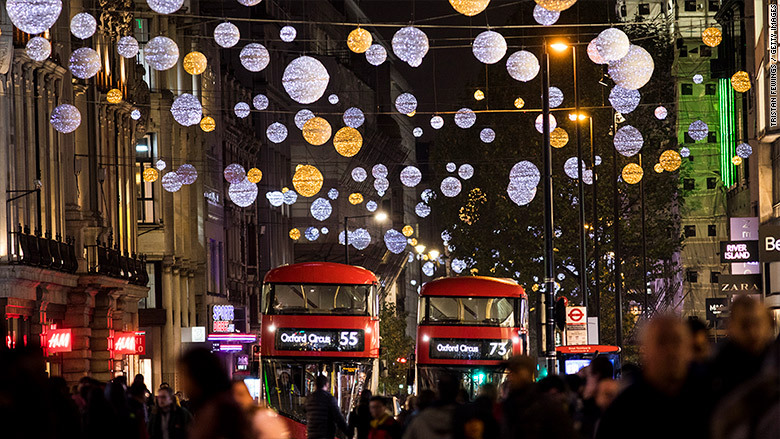 London's Oxford Street is a prime shopping destination. Retailers across developed economies are under intense pressure from e-commerce giants like Amazon (AMZN). In the U.S., thousands of stores have closed. But experts say that much of the pain in the U.K. is being caused by Brexit. The value of the pound dropped sharply after Britain voted to leave the European Union in June 2016, forcing Brits to pay higher prices for imported goods. Wage increases haven't kept pace with inflation, which now stands at 3%. Household debt has been growing by about 4% a year, and the Bank of England just squeezed consumers by hiking interest rates, which makes it more expensive to borrow money. "There will be spending this Christmas ... but people are being more cautious and more choosy," said BDO's top retail expert, Sophie Michael. Michael predicts the trend might lead to a winner-take-all scenario during the crucial holiday season where stores that can't attract shoppers could be forced to close. Reports show October retail sales fell sharply, a bad sign for the holiday season. Many retailers are also worried over how Britain's departure from the EU will affect their business. Nearly 17 months after Britain voted to leave the EU, negotiators still have not broached the subject of their future trading relationship, which is critical for retailers that import goods. "We've underestimated the impact of Brexit," said James Bidwell, co-founder of the digital consultancy Re_Set. "The inability of the government to actually move the agenda on is making it difficult for all businesses, but particularly retailers." "It's impacting how consumers are feeling," added Bidwell, the former CEO of Anthropologie's European division. David Roth, head of WPP's global retail division, said that retailers would try to boost sales by advertising on social media. 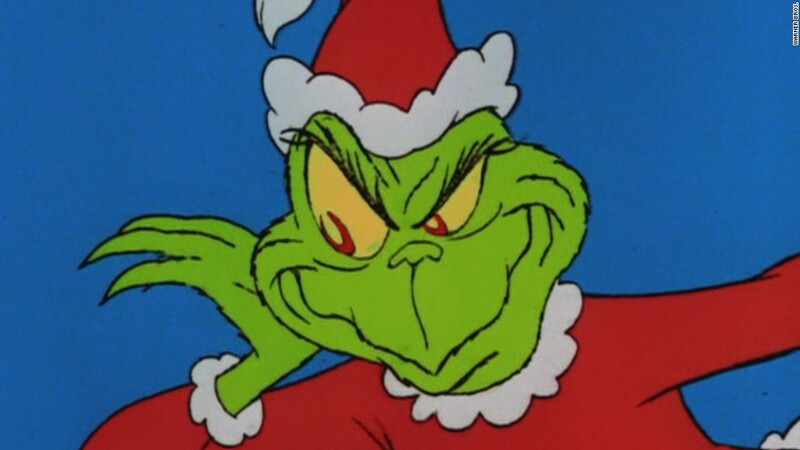 But he predicts holiday retail sales will be flat. "If I was a retailer and sales were flat, I'd be pleased," he said. "I would chalk that down as a success."